Fitness Australia is working with health organisations to support evidence-based research and knowledge, and to the foster approaches to research which empower and better equipped the Australian fitness industry to engage more people in regular exercise. To achieve a fitter, healthier Australia, Fitness Australia’s role is to create an environment where the fitness industry can implement the most effective preventive health programs and enable individual choices to be evidence-informed. Our focus is to build on the already strong research to enhance the capacity of the fitness industry in preventive health in Australia and to support effective preventive health programs, actions and strategies. 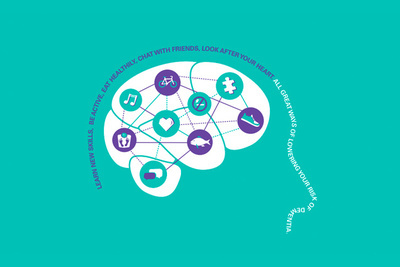 Alzheimer’s Australia’s Your Brain Matters program is based on scientific evidence that a number of health and lifestyle factors that we can all do something about are associated with brain function and the risk of developing dementia.